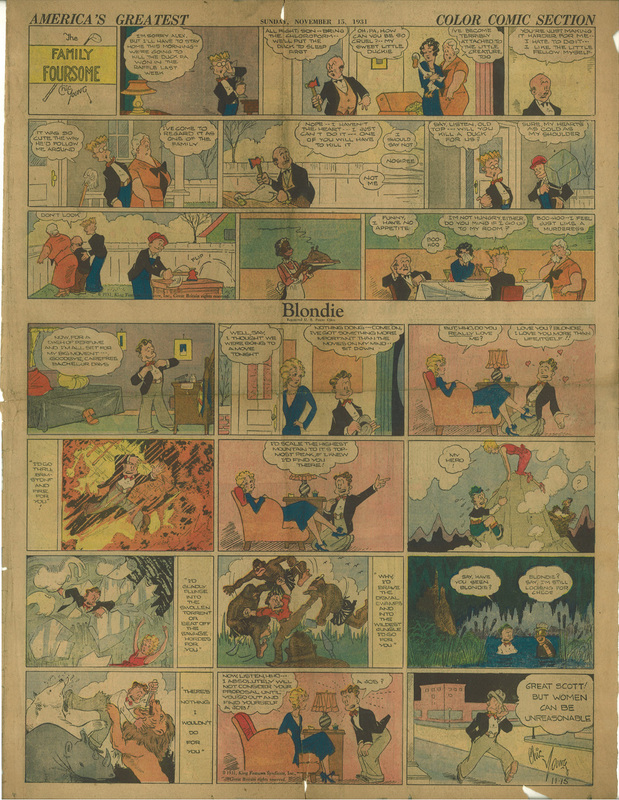 Here’s an example I scanned from November 15, 1931 of Blondie, along with the header strip The Family Foursome by Chic Young. The early Blondie strips that I have read from before it became a formulaic routine of sandwich and angry boss strips are quite fun and charming. 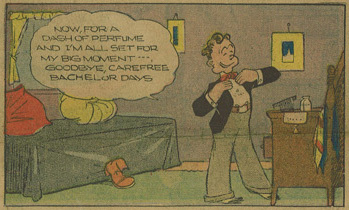 The strip premiered in September 1930, so this is a little over a year into it. See Blondie Gets Married from the Library of Congress. See a round-up of articles on Blondie’s 75th anniversary at Barnacle Press. Click here to read some examples of The Affairs of Jane by Chic Young at The Stripper’s Guide. Click here to read about Chic Young at lambiek.net. Click here to read more about Blondie at Don Markstein’s Toonopedia. Go to the official Blondie website.